A light weight 6000 alloy canti brake from KCNC - similar to the range topping 7075 alloy brake but in a more economical spec. Complete with all fittings. The 6061 alloy is machined away to leave a minimalist rigid alloy structure. All fittings are alloy or stainless steel. The pads are KCNC's orange compound. The set includes M8 & M10 alloy canti boss studs, straddle cables, front and rear cable housing mounts - everything you need! 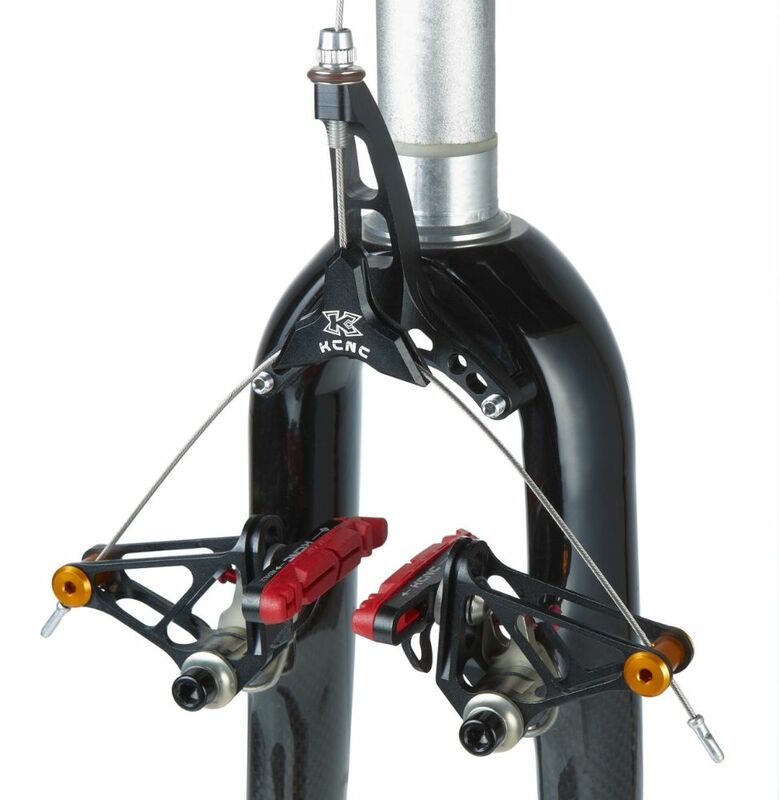 The size quoted as 31.8 or 34.9mm is the seat post diameter for the rear cable mount.